Have you heard of Dipton? Do you know where it is? Close to where I grew up, it’s a small former colliery village in the Derwent Valley in north-west County Durham, close to Stanley, Consett and Burnopfield. It maybe doesn’t sound that remarkable, however, it has a great place to eat, Keepers Cafe, and is close to 5 top family attractions, including Hall Hill Farm, Gibside, Beamish Wild, Beamish Museum and Tanfield Railway. Is it sounding more like the ideal destination for a great family day out in North East England now? Keepers Café, is a mother and daughter family run business, on the Front Street in Dipton. It not only serves delicious food but also sells keepsakes too. It opened three years ago, and as well as the tasty homemade fayre, it also features carefully selected gifts and handmade pieces by local artisans and crafters, both regional and national. 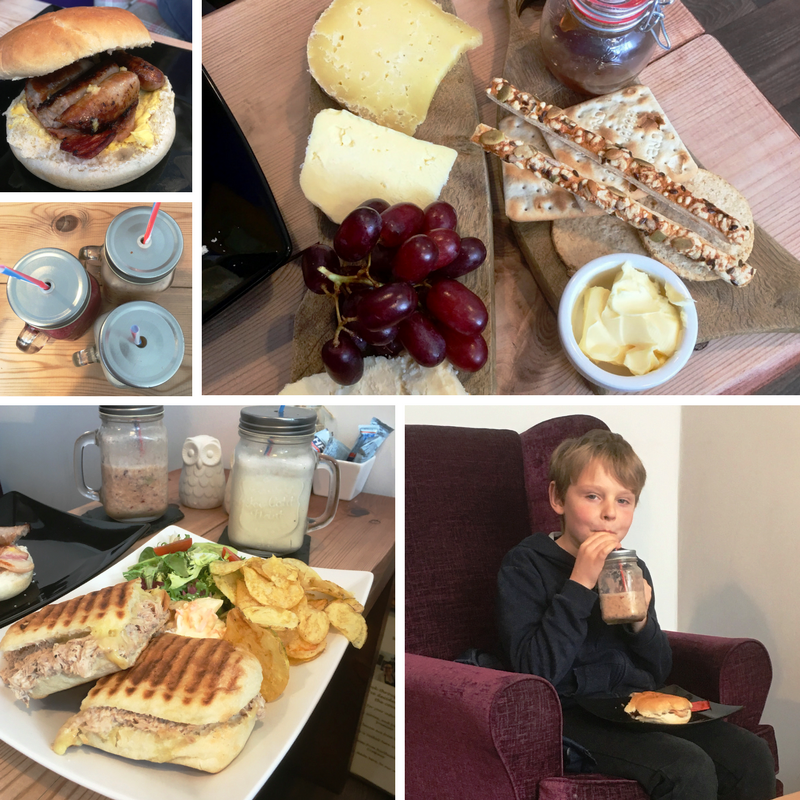 My Boys were invited along to find out more and review what was on offer. Located on the main road through the village Keepers Café is not difficult to find. From the outside it looks quite small but as you enter you discover it is filled with goodies both to eat and take home. 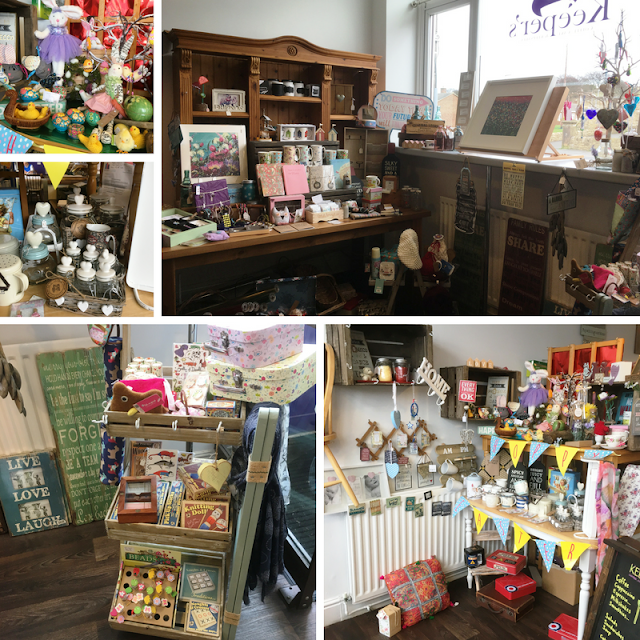 The craft art section greets you as you walk through the door and there is a great selection of items, perfect for birthdays and other occasions, reasonably priced and something a little different to what's available on other high streets. Then the café area is divided into sections. A snug complete with fireplace and comfy armchairs; the main dining area; and also a children’s play area at the rear. On arrival the boys opted for the snug, thinking they were too old for the children’s area but that didn’t stop them playing with all of the toys after their food. 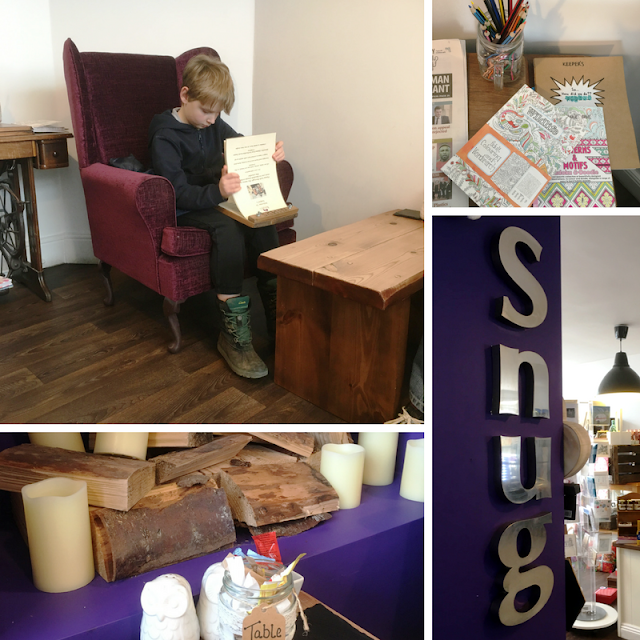 The snug was perfect, even comes with newspapers and adult colouring books to help customers totally relax. We chose our drinks first. A vanilla milkshake for hubby, a mixed berry real fruit smoothie for me, mango, melon and grape real fruit smoothie (all £2.50) and an apple juice (£1.75) for the boys. A quick look at the menu and the boys decided the bacon and sausage bap sounded really tasty (£4.95). Not just any sausage and bacon, though, these fillings come from the local and award-winning Knitsley Farm Shop just down the road. There are also children’s meals available from £2.95. Hubby picked the Tuna Melt Panini (£5.95) which was served with creamy coleslaw, salad and crisps. I spotted a Cheese Platter. And loving cheese this was my choice – it was commented on and noticed by other customers too. 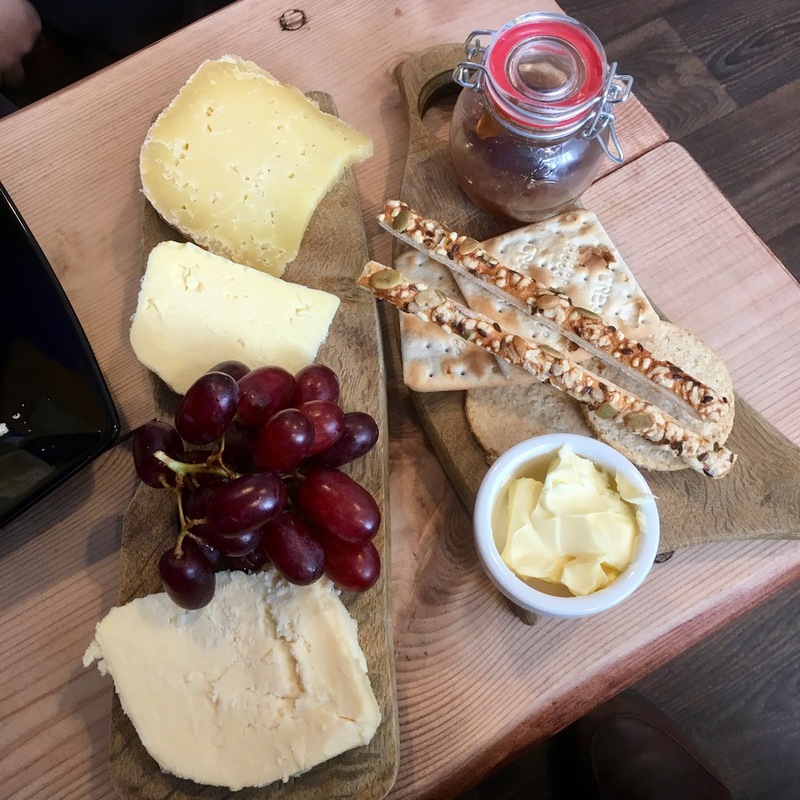 The Cheese Platter (there are also a Meat Platter and Ploughman’s on offer) is a selection of Northumberland Cheeses, mine were Cheviot, Kielder and Reiver, served with chutney, grapes, caramelised onion, crackers and oatcakes. At just £7.25 this was so tasty and filling even after the boys had helped me out there was still some cheese left. After sitting the comfy chairs the boys then decided they wanted to check out the play area. It is more suited to smaller children, but they still were happy to play. Parents can sit with their children to eat but be on hand to supervise them in the play area. Before we left we bought a piece of chocolate cake to take away. We managed to limit ourselves to just one slice but I could happily head there again to choose more. I could have quite easily sat in that comfy chair all afternoon but it was a teacher training day and we were having a family day out. And there are so many places close by to choose from. 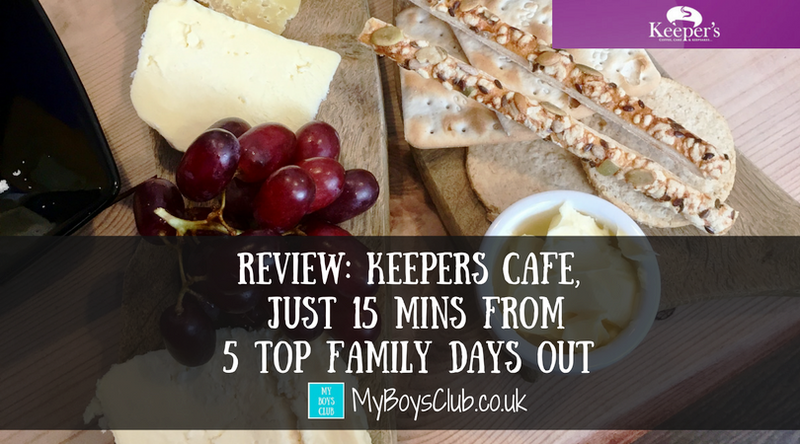 Keepers Cafe would be an ideal place to eat in Durham before heading to Hall Hill Farm, Gibside, Beamish Wild, Beamish Museum or Tanfield Railway. Less than 5 miles away is Gibside. There are lots of things to see and do at this National Trust property. Gibside offers miles of woodland and riverside walks with views across the Derwent Valley. You can explore an architectural gem of a Chapel, see red kite soar above the famous tree-lined avenue, discover the ever-changing Walled Garden and the vibrant Stables, now a learning and discovery centre. Just 5 miles away you’ll find Tanfield Railway en-route to Beamish Museum and Beamish Wild. At Tanfield, you'll find a 3-mile steam railway and the oldest railway in the world, based on a section of the 1725 Tanfield Waggonway Trains with a variety of vintage carriages. Here you can travel into the scenic Causey Woods where the 1727 Causey Arch bridge is found in a deep valley with many walks. Back at Marley Hill shed, the oldest working engine shed in Britain (built in 1854), is a large collection of locally built and used locomotives. Set in the Treetops of ancient woodland, you'll find a High Ropes Course with 2 hours of non-stop fun and challenges guaranteed to get your adrenaline pumping. In the tree tops, you'll find 4 zip-wires, rope bridges, swinging tires and the awesome Powerfan free-fall experience! Archery and holiday camps are also available. Experience a real sense of your past at Beamish and discover what life was like in North East England in Georgian, Victorian and Edwardian times. 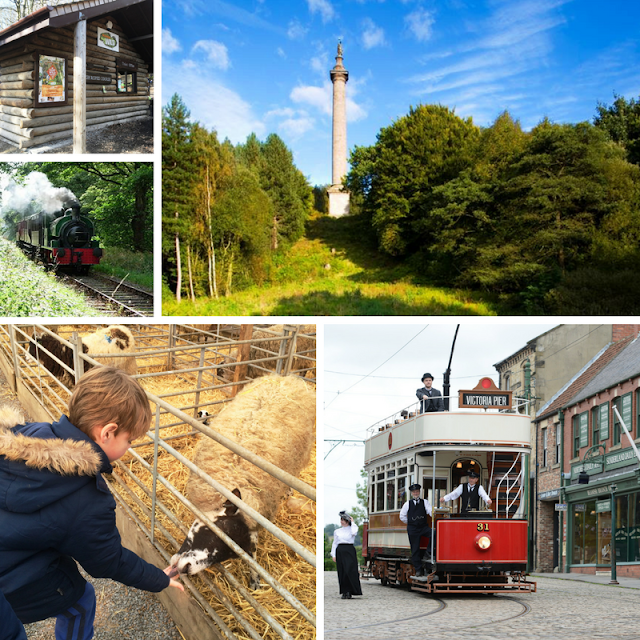 Beamish is a living, working museum, set in 300 acres of County Durham countryside. Costumed demonstrators bring to life the Edwardian Town and Pit Village, complete with original drift mine. At Home Farm and Pockerley Old Hall, experience firsthand how the Industrial revolution transformed agricultural life in the region. And a couple of miles further, but just 13 minutes drive away is the award-winning Hall Hill Farm. Recently named the nation’s favourite farm attraction, Hall Hill Farm has been entertaining visitors for over 35 years. As well as the animals you find indoor soft-play, outdoor crazy golf and jumping pillow as well as donkey and tractor rides. 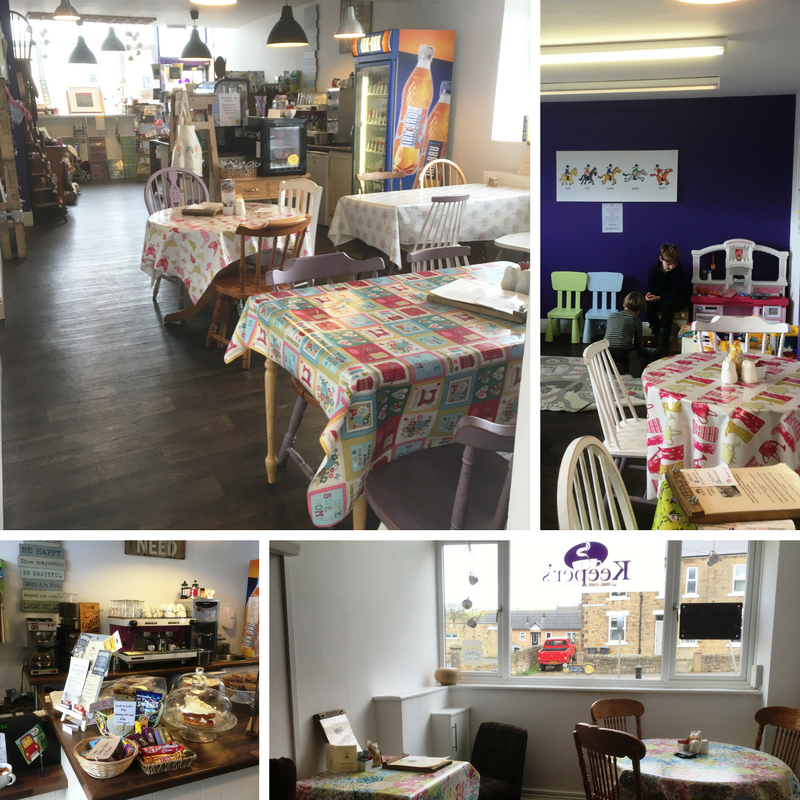 Have you ever been to Keepers Cafe in Dipton? 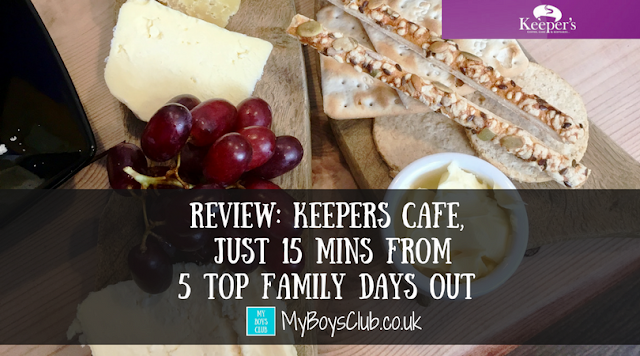 Disclosure: We were invited to Keepers Cafe for a complimentary family lunch in return for an honest review. I love that they have a play section for the kids! More places should do this. It makes such a big difference doesn't it. Just reading the menu and food description made me hungry! What a lovely looking place, I like having a browse through arts and crafts sections and I love the idea of adult colouring books... think I'd end up spending all day in the cafe, never mind being near to so many attractions! I could have easily spent the whole afternoon there. That looks like a fantastic cafe! I love the North East, but these days it's a very lng way for me to visit - I'm now in the South East! You'll have to remember it for a future visit. What a cute little cafe! Living in city centre means these cafes are rare around my area and we are just surrounded by chains which is annoying. We do travel out occasionally so we can visit more of the small independent coffee shops! It was worth the travel time - about 25 mins away but lots to see in that part of the countryside too. This is a great review and very helpful to suggest other places to visit nearby for a full day out. 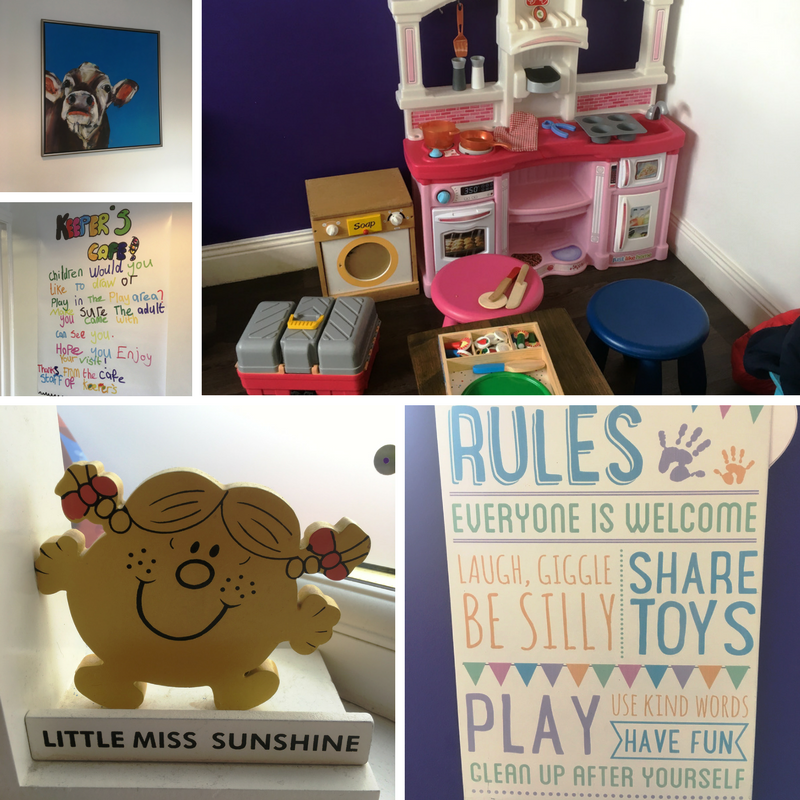 Love the Snug zone and cafes with a kid's area always get my thumbs up. Thanks. And yes the Snug was lovely. Nothing makes me happier than a play area for kids! This has my approval!